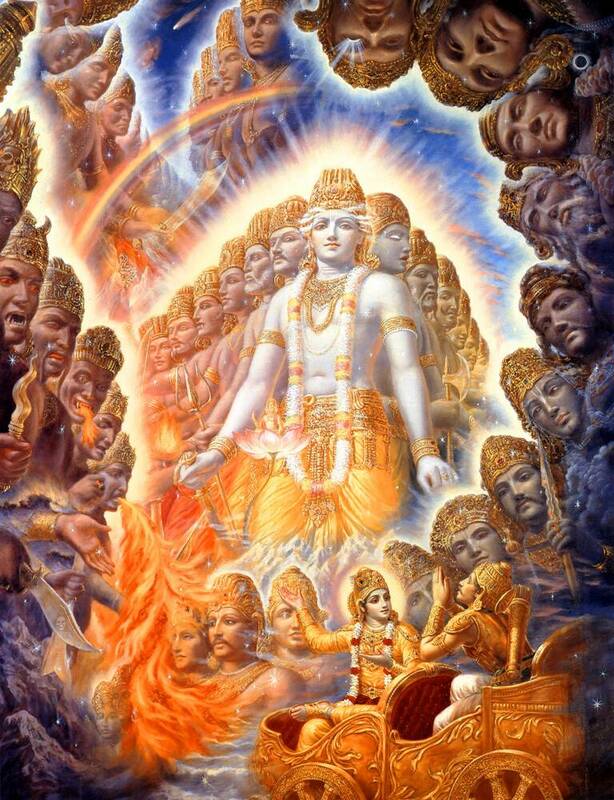 While Arjuna and Krishna were discussing the Bhagavad Gita Arjuna asked Krishna to show His universal form. This painting shows that universal form of Krishna's. Arjuna personally was not very interested in seeing the universal form of Krishna, but he wanted to set the standard so that in the future any impostor would claim that he was God then he could be tested by being asked to show his universal form.